Create impact and make a lasting impression with exquisitely styled displays of fresh, seasonal produce, artisan cheeses, cured meats, and beautiful flower and table arrangements. Grazing tables are the perfect casual dining option that lets your guests help themselves to a beautifully styled array of locally sourced and seasonal produce. 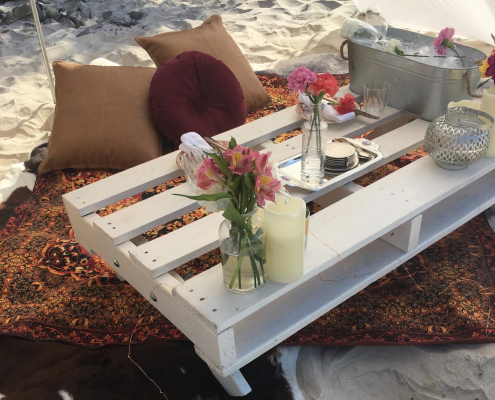 My Alter Ego styled grazing tables will create the wow factor for your next function or event in Brisbane. The presentation on each table can be tailored to suit your theme with our expansive range of tableware and flowers, so no matter what aesthetic you’ve chosen, our display will compliment it perfectly. Treat yourself, and your guests, to a truly decadent eating experience without the premium price tag. 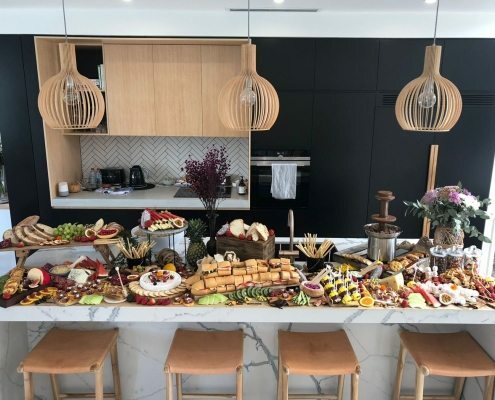 At My Alter Ego, we have a strong commitment to locally sourcing all of the produce we use in our catering and on our grazing tables around Brisbane. Because we insist on only using the freshest ingredients, the contents of our grazing tables are decided by what’s in season, and no two will ever be exactly the same. All tables are delivered and prepared by a My Alter Ego food stylist who will create your masterpiece from start to finish. And no, you are not allowed to touch until your guests arrive! We also take care of the clean-up. Which means you don’t have to lift a finger, expect for when you eat! 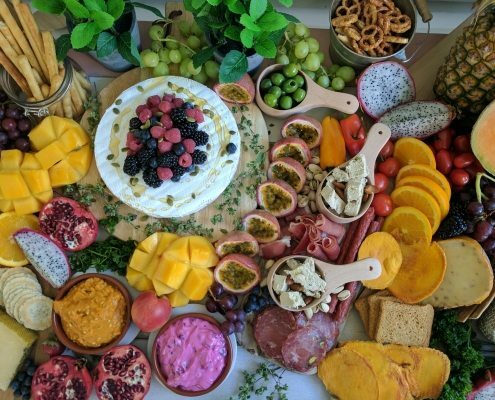 Each table we set up is full to overflowing with seasonal and local produce, including a selection of speciality cheeses, cold cuts, bread and crackers, fresh fruit and vegetables, olives and nuts, and are sure to provide a serious ‘wow’ factor for your guests. 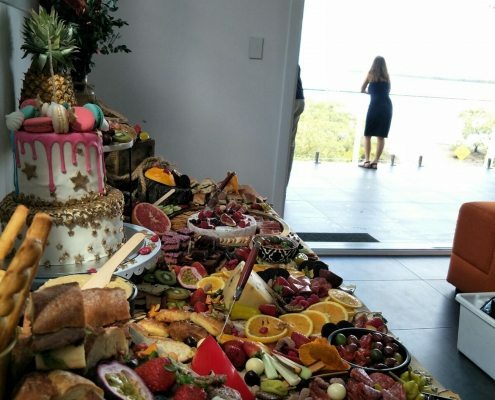 We are located in Brisbane and can provide grazing tables and further catering services for private parties, weddings, baby showers, engagements, birthdays, functions, corporate events, and everything in between. From small, intimate family gatherings to the most lavish of galas, we will ensure that everything looks incredible and tastes even better. Why choose My Alter Ego? We have been around of years and have experience in corporate and social catering. With over 25 staff members at your beck and call you can be sure our service and quality is second to none! 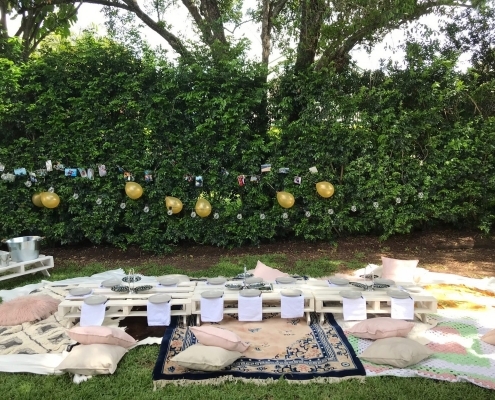 We can’t wait to hear about your event, so call our friendly team on 0416 511 838 or reach out via our contact page to make an enquiry or a booking today! If you are in need of a larger table please contact us. We can go a BIG as you like! The baby of the family. Recommended as an accompaniment for 10-20 people. Recommended as an accompaniment for 20-40 people. Recommended as an accompaniment for 40-60 people. Recommended as an accompaniment for 60-80 people. Having an early morning to almost lunch graze? Then this is the upgrade for you! 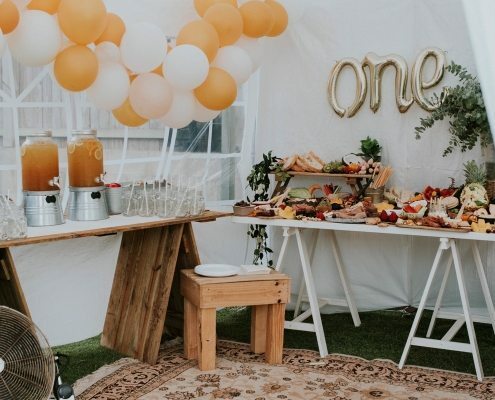 Your table will be transformed into a brunching spectacle with granola stations, danishes, savoury croissants, savoury scrolls and fresh seasonal fruit. Transform your table into something that Tony himself would be proud of! The perfect accompaniment for evening drinks with friends. You will find, more meat, more bread, more olives. 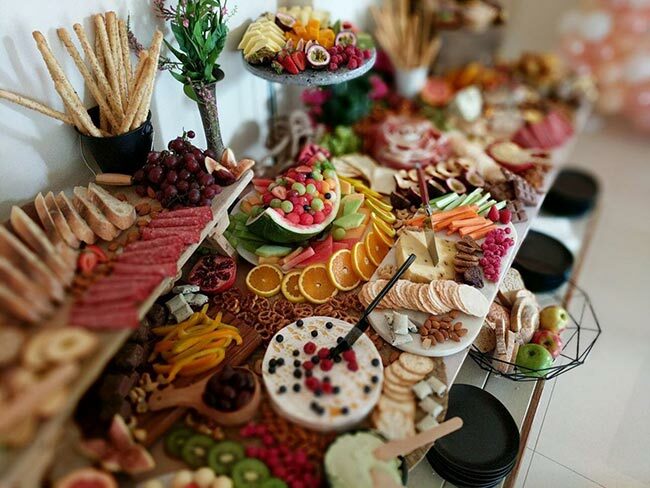 The Italian antipasto lovers dream! Candi by MAE – Add flair to your table with a box from our range of Candi by MAE boxes from our lolly shop. MAE Grazing Boxes – Add any box from our grazing box range. From sweets to salads there is something to add for everyone’s taste. 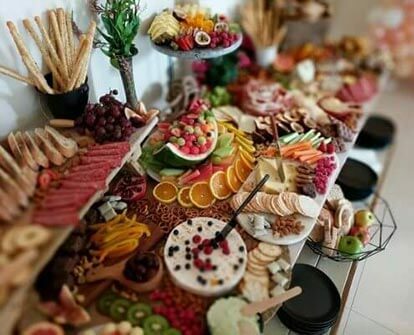 Cheese Tower – Want extra wow? Let us create a cheese tower for you! Perfect as a substitute to a traditional wedding cake. Quoted to your needs. Celebration Cakes – Hand made by us for you. From weddings to birthdays and everything in between let me create a masterpiece just for you. Quoted to your needs. 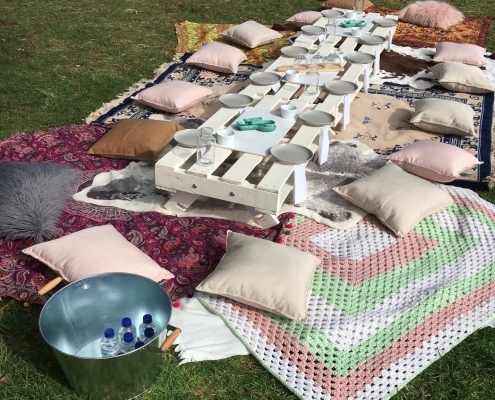 Tea Party – Add our tea and coffee package to any table.. Our Cafetisse machines brew a rich filtered coffee for you to enjoy in our funky colourful tea sets. $3.50 per person. Need even more? My Alter Ego has styling options to make any space amazing! From flower walls to blossom trees please enquire for a quote today.